Infused with energy, air, water, fire, earth….the gifts of the earth that have been provided us, are some of the most healing and nurturing powers of all. Stones and crystals have been apart of this earth since its creation and have played an integral part in its connection between the alignment with the pulse of the Earthbeat and the creatures that walk upon it. Crystals are a very popular feng shui cure since their natural energies can be used to gently protect, clear and nourish energies within our environment. Crystals for feng shui purposes are based on their metaphysical properties, mineral makeup, color and shape. The choice depends on which crystalline energy you want to bring into your surrounding space. The metaphysical properties of crystals shows us how to look at what is beyond the physical or visible recognized fields of human consciousness. 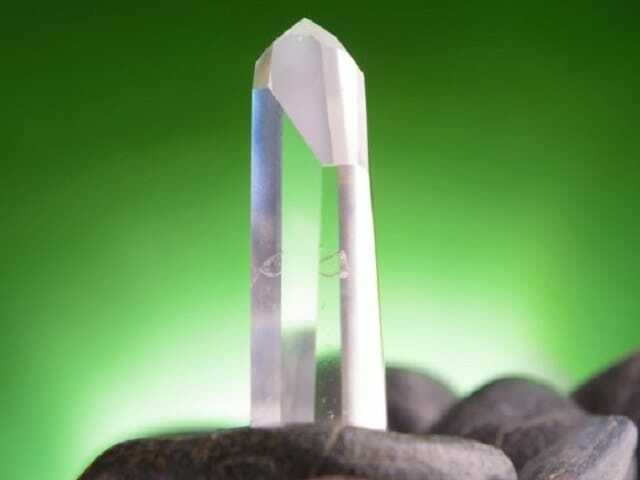 The mineral makeup of a crystal is what gives it power. The combining and layering of earth elements over centuries, makes it’s energy, unique. From quartz to copper and calcium to iron, the mineral spectrum is vast, creating an amazing synergy. The color of a crystal allows us to connect with it on a deeper level. Color enriches every aspect of our lives. The inspiring rainbow of colors can influence the way we feel. 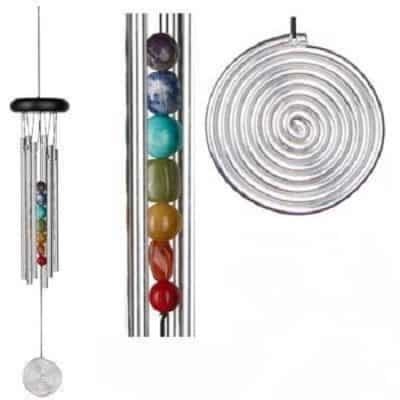 The five elements in feng shui all have related colors that can be utilized. Wood: brown, green. Water: blue, black. Earth: beige, brown, yellow. Fire: red, orange. Metal: white, gray. When healing mental, emotional issues, the color of a crystal can be an additional clue in choosing the right gem for the job. The shape of a crystal is relative to the way we respond to the environment around us. We respond to shapes on a subconscious level, therefore, the shape of a crystal can have an incredible impact. Found in natural clusters and geodes or fashioned into points, towers or tumbled smooth stones, crystal shapes bring continuity and flow to our lives. In nature, there are six crystal families in three dimensions: triclinic, monoclinic, orthorhombic, tetragonal, hexagonal, and cubic. If the back door is seen immediately from the front door, hang a crystal near the front to slow down the energy from going directly through the home. If there are steps down immediately upon entering a home, hang a crystal above the steps to keep the energy moving up. I like using crystal prisms or Swarovski crystal here, as the many facets divert light energy and play it around the space. A crystal cluster is wonderful in the living room or family room. Clusters of crystals bring a “group” energy to it’s surrounding area. They are used to foster protection, cooperation, purification, harmony, friendship, intimacy and to break up negative energy in the environment. Clusters help to keep all life forms energized and clear of heavy or unproductive energy. Clusters in a family room bring together the various family members in harmonious unity. Like a crystal cluster, family members are all connected to a similar base. Some of my favorites include quartz clusters, which help bring clarity of thought and clear intention, citrine clusters, which help encourage communication and aqua aura clusters, which have an energy that can enhance intuition and communication, calm nerves and energize our mental abilities. Black Tourmaline (Schorl) is one of my favorite for the workplace as it is the best crystal to use against the ill effects of low frequency and high frequency electromagnetic waves (EMF). 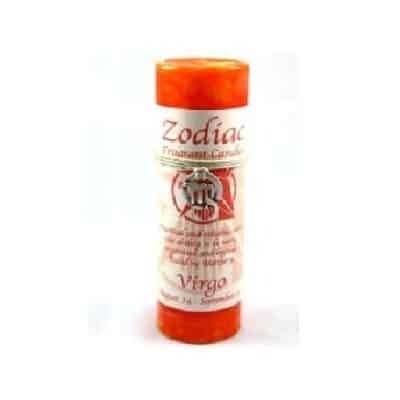 It protects against smog, radiation and repels all kinds of negative energy. Great near computers, phones and outlets. Tourmaline in quartz provides an energy or “solving atmosphere”. Used to actualize an innate strength in the body. It helps eliminating “crystalized patterns” in the body which have been destructive in a physical and mental manner, especially in one’s business. Selenite wands and towers are white/clear striated gypsum crystal known to stabilize and help with mental focus, growth, luck, immunity, and raising kundalini energy. Centuries-old record keepers of events and information, these stunning crystals help regulate and soothe emotions, especially good where business is concerned. Place a clear quartz crystal cluster near your computer to balance out the energies and protect you from high electromagnetic fields (EMF). Citrine is especially good for the workplace as it helps with problem solving, memory issues, will power, optimism, confidence and self-discipline. It reduces anxiety, fear and depression. Can guide you to harness and utilize your creative energy. Helps us analyze events, develop inner calm and security and makes us less sensitive and more open to constructive criticism. This stone is great with help in achieving goals. Citrine is the stone of abundance. It teaches us the lessons of achieving wealth and prosperity. Not just on a monetary level, but in all aspects of our lives. Water is the dominant element in the bathroom, a very Yin energy. Leaky pipes, open drains and toilet seats can cause Qi energy to move out too fast, taking a wealth of energy with it. Fix leaking pipes and keep toilet seat and shower curtains close. Use a faceted crystal or cluster to disperse an slow down the Qi. Consider using more yang colored crystals such as black, red, orange or yellow together in a bowl. If you have bathroom door across from the bedroom door or kitchen door, hang a faceted crystal ball in the middle between the two opposing doors. Crystals are wonderful to use in the bedroom. Two of my favorites include rose quartz and jade. Keep no more than two rose quartz in the relationship area of your bedroom or two stones close to your bed. Rose Quartz has a loving, healing energy associated with the heart. It brings about a strong sense and flow of love as its heart-opening properties encourage more self love and the love in an intimate relationship. The ancient Chinese culture has revered Jade for centuries. Jade is considered the health, wealth and longevity stone. Traditionally, Jade symbolizes the Five Virtues of Humanity : wisdom, justice, compassion, modesty and courage. Therefore, it is used for emotional balance, stamina, love, fidelity, humility, generosity, peace, harmony, courage, wisdom, justice, mercy. No matter what your choices, instinct and intuition will never fail you.